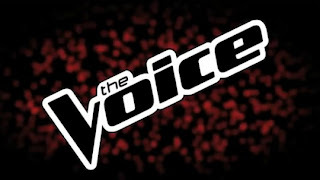 Quick Thoughts: THE VOICE, "Top 6 Perform Live"
Since the pool's down to six, The Voice had each contestant sing twice (one song picked by the coaches and one picked by the competitors) as a way to fill the full two hours. Instead of sharing my thoughts on twelve songs, I'm just going to arbitrarily rank their overall performances. I've liked Melanie from the start, but last night was not her best because "Crazy" was a serviceable Melanie-ified performance but nothing special, and "The Show" was kind of awkward from the get go. The latter really felt like a stretch and was a way for Adam to test her but it backfired. I wouldn't be surprised if her uniqueness gets her to the next round, but I'm not so sure it'll be enough. I have to admit that I've never been a huge Amanda Brown supporter, and that's probably why I have her ranked so low, but I didn't think either one of these performances were all that memorable. Sure, I get a kick out of her doing her rocker bit so "Here I Go Again" was more entertaining but it wasn't enough to sway me to Team Amanda. It's not like it matters though because she may have had a late enough surge to keep her around for one more week. Maybe I'm in the tank for Terry, so what? The reason why I have him slightly above Amanda was because he did something different enough with "I Want to Know What Love Is" to make me take notice. His stripped down approach was a nice change of pace, but he followed it up with what he does best. Technically, Amanda is probably more versatile but Terry proved that he could change things up too, plus I think he's better at his strengths than she is at hers. Does that make sense? All that said, Amanda probably had a better week. "September" was by far Nicholas' weakest performance, and for a minute there I thought Cee Lo lost it for him, but damn it all if "Over the Rainbow" was not near perfection. Seriously, while he was singing it I thought that Stevie Wonder and Judy Garland had a love child named Nicholas and he was sent from heaven to save The Voice. It was so good that I wanted to buy the track before he even performed the damn thing. I don't know if he's destined to win this thing, but he'll go far. This is going to sound odd because I didn't think that these were Cassadee's best outings but that's because she didn't stray too far out of her comfort zone. She's showed us that he's capable at singing country and that she's best when she embraces her pop rock roots, so these two songs didn't give us anything new. That said, she did a good job with them (even though I didn't love the latter). Like Amanda, Cassadee popped at the right time and her late inning push could take her all the way to the finals. Admittedly, "Walking on Sunshine" was a little silly but Trevin embraced it and it was a fun performance, and it was nice seeing a different side of him. At first glance, I was prepared to hate "And I'm Telling You" because it's such an overhyped song (and it irks me that Jennifer Hudson get's so much credit for singing it), but I was blown away by his version, and I was once again ready to crown him the winner. It's true that anything could happen and Cassadee or Nicholas could swoop in and get the upset, but Trevin has to win The Voice... he just has to. As you can see, I have Melanie and Terry on the outside looking in which would be a shame since I like them more than Amanda, but I cannot dismiss her resurgence towards the end of this competition. It's still going to come down between Nicholas, Cassadee and Trevin but she could shock us all.